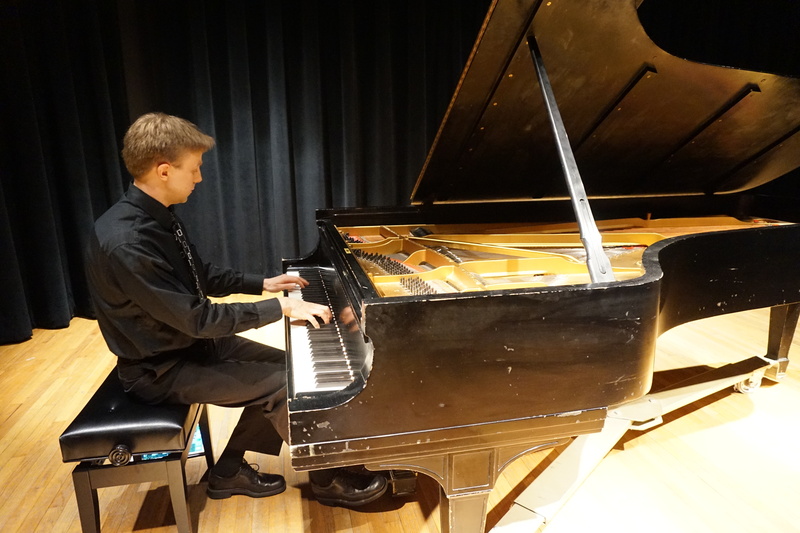 Bringing skill and sensitivity to the Trumansburg Conservatory auditorium, pianist Russell Posegate will present a piano recital on Friday evening, July 1, 7:30pm. Formerly an instrumental music teacher at Trumansburg’s Russell I. Doig Middle School (1999-2007), Mr. Posegate now teaches music theory, sightsinging, music history, guitar and piano at Ithaca College and at Wells College. He holds a BM in music education and a MM in piano performance from Ithaca College, where he was the winner of the annual concerto competition. Mr. Posegate will be performing on the exceptional Bösendorfer grand at TCFA with a program including Brahms, Mozart and Debussy, as well as an array of American pieces to kick off the July Fourth holiday: Joplin, Gershwin, Paul Creston and more. This will be a lively and accessible program, good for families; admission is $10 at the door, with proceeds to benefit TCFA and the family of Violet Pantucci. Violet was born with lissencephaly, a rare genetic condition.